Here is a car that for all its coolness just does not get much attention. There seems to be no reason why we cannot show a little more love to this beauty. Just look at the hideaway headlights, the long swooping body, the…. Wait, maybe that is it? That long back end is cool as it can be. The car is big, I mean big. 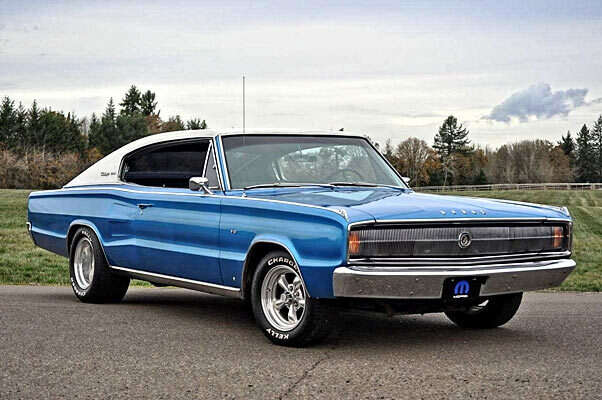 Sure you could have had Dodge plant a big 440 under the big long hood but it seems many just cannot feel the love for this car. Other cars like this would be a Ford Torino, the AMC Matador ( yes, what’s a Matador) and possibly the old but proven Hudson Hornet. It seems consumers prefer shorter back ends like the 67 Mustang, 66 Corvette, or the 69 Cougar. All the cars I mention are great looking cars with the Hudson coming to mind as a family from church would drive it every Sunday to say there prayers. The bigger cars have so much to offer such as comfort, looks, cool features and power. The smaller of the fast backs offer all the same except they can fit in the garage easier and of course are easier to park. I mean we all dig the 59 Caddy with those giant fins but it’s hard to find a garage it will fit in anymore. And, if you think the Charger is too big its really not that big. Not when you compare it to the Cadillacs and Mercury’s of the day. The Charger just has the right stance, hideaway headlights, and one very interesting dash board. Most of us just don’t see many of these Chargers on the road so you don’t see many at the shows. It is a car I’d like to own for sure. With all the windows down on a nice summer night you could put about 6 kids in the back seat alone. Regardless of my attempt at humor you will turn heads and have a smooth ride, lots of power for your right foot, and the pleasure of knowing you are driving a very unique car.